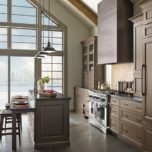 Whether you are remodeling your entire kitchen or just looking to enhance the look and feel, Trade Mark Design & Build would like to talk about the addition of under cabinet lighting to your home. Under cabinet lighting acts as a great complement to your main overhead lights with the ability to provide extra illumination on prep areas and task lighting. You can even add a dimmer setting to certain types of lighting to set the mood for get-togethers or date night. 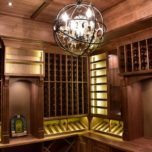 Below we discuss a few different under cabinet lighting options to help you gage what works best for you taste and budget. A little bit of light can go a long way! 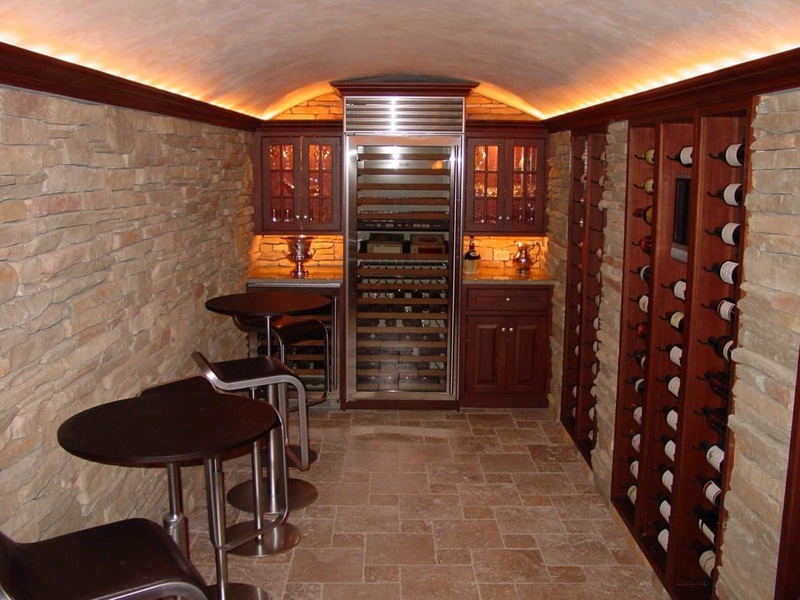 As you may have guessed, LED lighting is the most popular type of under cabinet lighting. This is due to its long lasting capability, low heat output, and of course its high-energy savings. LED lights are 90% more efficient than the less superior incandescent bulbs, which produce a great deal of heat. Plus, although they are typically known to come in cool tones, they also offer warm tones for those who prefer it. When looking to install under cabinet LED lighting, know there are direct wire self-contained units, tape, and individual or puck light units to choose from. Self-contained units contain multiple lights in a singular unit and offer a minimalist look. 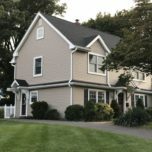 Tape style is the thinnest option and flexible when needed. Puck lighting allows you to focus each light in a specific area, but with that comes a bit of extra installation work. They can be mounted to the underside of the cabinet or recessed into it. As far as pricing, LED lighting will cost you the most. This is not only due to the general novelty of LED lights in recent years, but the fact that they are the most complicated to install. They require elements such as transformers and switches, often times failing to meet building code standards. 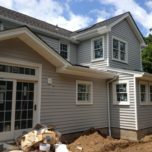 Their installation requires a decent amount of consideration as far and money and planning, and we typically recommend LED lighting to be installed in a new construction unit. This is especially true if you would like low voltage lighting, since it requires a transformer over the usual line voltage lighting. To help with high pricing, LED lights are dimmable, which can help you save energy daily. Also, remember that because LED lights are energy efficient, they will end up saving you money in the long run. Similar to LED lighting, the popular CFL’s are also highly energy efficient and produce little heat. This modernized version of the fluorescent bulb is no longer noisy or flickers on when you flip the switch. When looking for an under cabinet style, CFL bulbs come in self-contained units or as individual lights as well. Self-contained units are perfect for keeping the actual lights out of sight while still producing sufficient illumination. Be aware that not all fluorescent lights are dimmable and that you will need to check the packaging or with the company installing them for you. 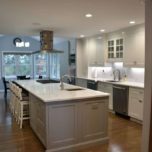 Pricing for CFL under cabinet lighting is going to cost you less than the LED lighting, but more than incandescent lights, which we will touch on next. Although they have many of the same appealing qualities of LED lighting, CFL’s are easier to install. This helps drop the cost. In the future you will see even more savings due to the long lifespan and energy efficiency. 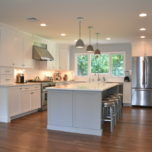 A popular type of incandescent lighting for under your cabinets is known as xenon. It runs on the gas xenon that is encased in the bulb. Although they are better in the energy efficiency category and produce less heat than traditional incandescent lights, they do not compare to LED or CFL lighting. They are popular because of their ability to produce a warm, but vivid illumination. This allows for proper lighting when prepping for meals or parties. They come in self-contained units, rope, or individual lights. You can have them hardwired into the cabinets or purchase a plug-in option. Plus, xenon lighting is dimmable for those who enjoy that feature. Pricing for xenon lights are cheaper than LED or CFL’s due to their ease of install, but as those styles become more popular, the price gap may continue to close. Remember that the price will also be affected by the type of installation method you select (electrical outlet or hard wiring). Hiring a professional is usually necessary for certain methods, especially hard wiring. 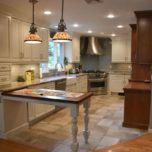 PRO TIP: For those of you who already have CFL or xenon lighting installed under their cabinets, but are looking to upgrade to LED lighting, you are in luck. They now make LED retrofit bulbs which will fit existing features and are cheaper than installing a new LED unit. Contact Trade Mark Design & Build to learn more! Here at Trade Mark Design & Build, we want to help make your kitchen dreams come true. 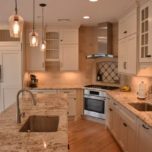 If you need help deciding on a type of under cabinet lighting that suits your home, contact us today and let us do the work. 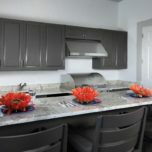 You can also visit our showroom in Hawthorne, NJ for other inspirational ideas.